Czech Republic Prime Minister Andrej Babišslams EU policy allowing millions of immigrants from Muslim countries into Europe. Andrej Babiš, the Prime Minister of the Czech Republic, called mass illegal immigration a "threat to European civilization." 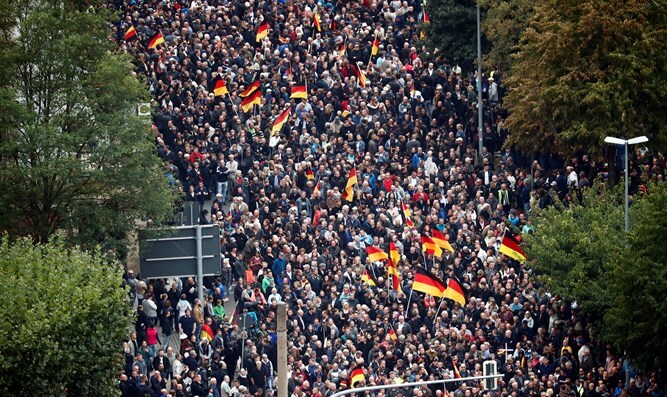 Babiš said that if illegal immigration from Muslim countries was not brought under control, "Chemnitz is around the corner," referencing the mass protests against Germany's open borders policy towards Muslim immigrants. "The events in Chemnitz emphasize that the influx of migrants is causing explosive situations, when foreigners clash with local citizens, such incidents are very dangerous to Europe, and the tensions in Germany also affect other countries. Their country is bad. We have 1.5 million illegal migrants here. Our return policy is bad." He slammed the European Union's quota system, which required nations to accept a minimum number of immigrants in the wake of the Arab Spring. “We have lost four years foolishly debating quotas… the message being sent is that Europe is open and that we have to care for everyone who comes illegally”.